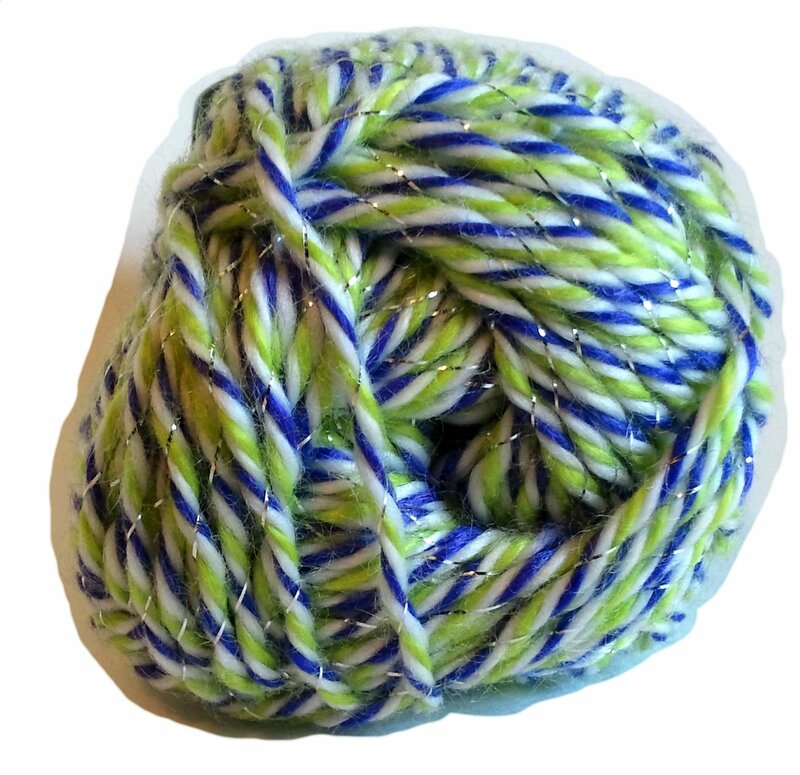 One small skein of sparkle yarn in purple, lime green, and white. Each skein weighs 1.75 ounces (50 grams) and is 90 yards (82 meters) long. This yarn is medium weight (4) and machine washable. The fiber content is 98% acrylic, 2% polyester. It's nice and soft.